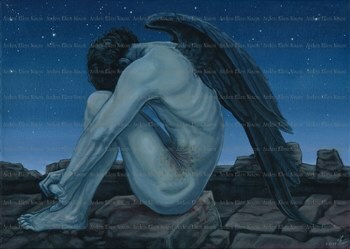 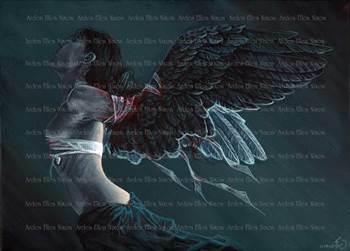 When I painted my first "Make-Shift Angel" back in 2007, I didn't expect it to become a series, but time has proven otherwise. 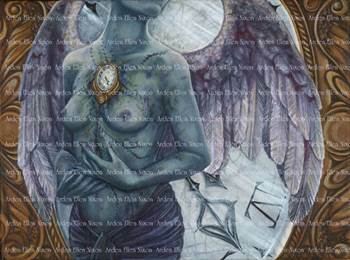 Indeed, they are my favorite paintings of my own and are quite often the most personal. 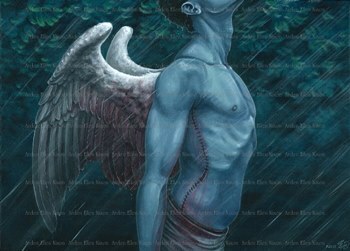 I considered the series finished for several years, not the least because I feared diminishing it. 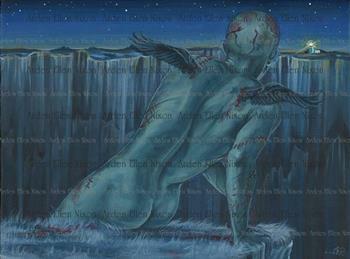 Were I to take it up again, the new paintings would have to be truly special. 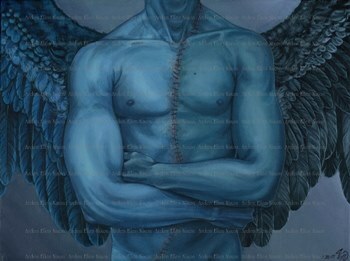 Those ideas have arrived, and it seemed only fitting to christen a new series of twelve angels by revisiting the first, which is ten years old as of 2017. 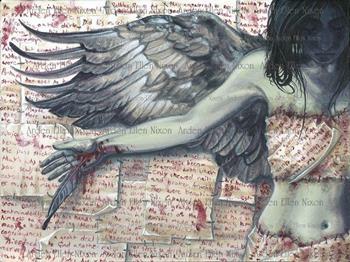 A decade is plenty of time to ponder how the wings on the first angel were far too small; the hands were lovely but not stained enough considering their task; and the gore was both underhwelming and unrealistic. 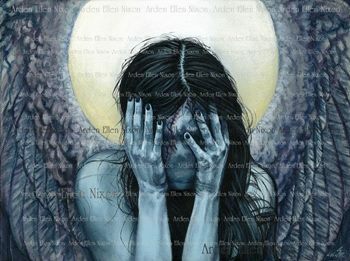 "Redux" could have pushed the matter still further, but I was wary of losing the viewer's sympathy to shock. 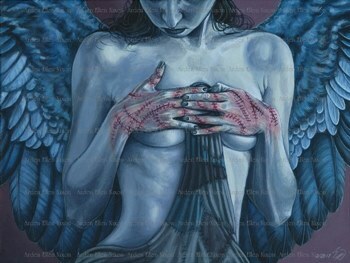 That sympathy, that empathy, is what makes my angels so rewarding and so dear. 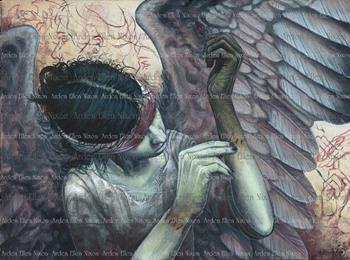 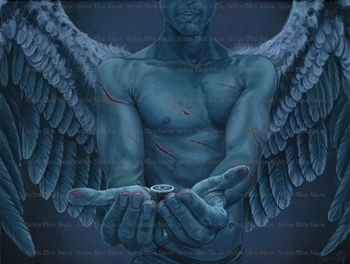 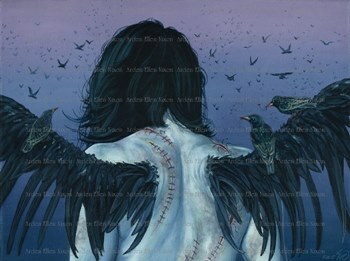 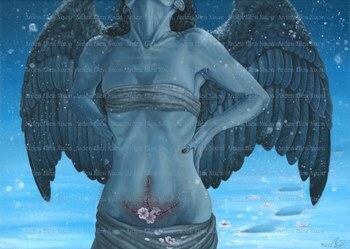 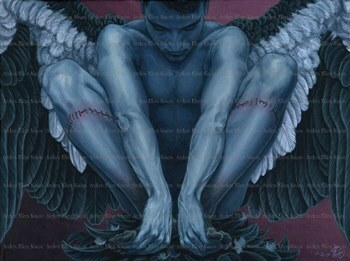 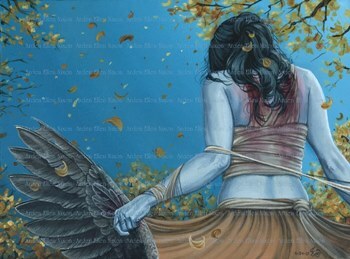 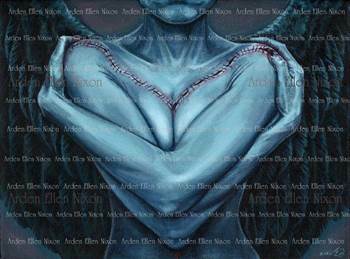 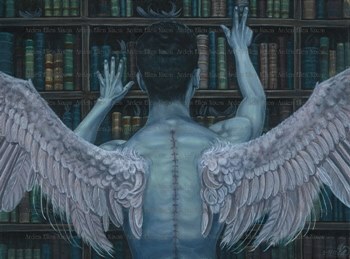 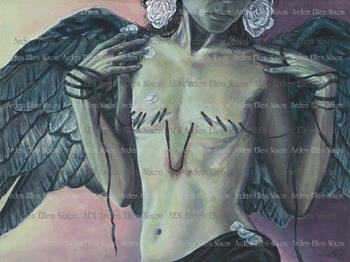 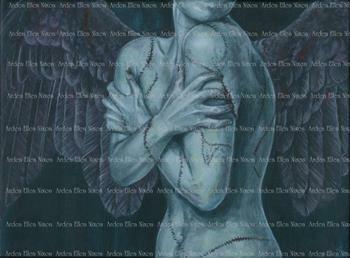 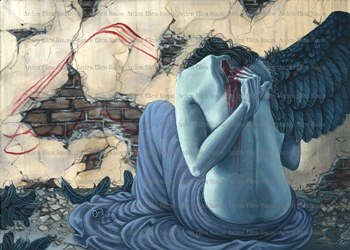 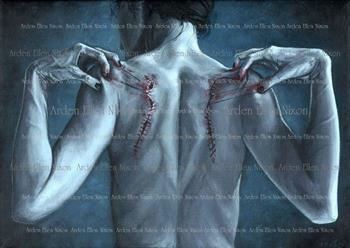 We are all Make-Shift Angels in our way, doing our best to mend ourselves for the better no matter the scars.